Mike Green & Associates : Congratulations Vishtèn on 2016 East Coast Music Award! Congratulations Vishtèn on 2016 East Coast Music Award! 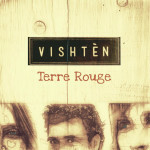 Congratulations to Vishtèn, winner of the Roots/Traditional Group Recording of the Year for their recording, Terre Rouge, at the 2016 East Coast Music Awards, honoring the music scene that makes Nova Scotia, Newfoundland & Labrador, New Brunswick, and Prince Edward Island so special. Way to go!